Daily Debate: What Part Of The Zelda Dungeon Marathon Are You Most Looking Forward To? The annual Zelda Dungeon Marathon fast approaches as our staff prepare themselves for the week long charity event. From last minute game running practice to hastily packing our bags three and a half minutes before the taxi leaves us at home, we’re excited to raise money for Extra Life! If you haven’t watched one of these before, every year a large group of Zelda Dungeon staffers led by our intrepid Mases race each other in all of the main title Zelda games, as well as a few others. In between and during these runs, there’s also shenanigans and madness that ensues, whether it’s the AC breaking during a maddening 10+ hour Twilight Princess run or Kevin giving us an impressive run down on just how many ways there are to mess with Majora’s Mask. What might even be better than that? How about a competitive race to complete a Zelda puzzle? This year we’re upping the ante even more with a 6-player Ocarina of Time race, an 8-10 player Minish Cap elimination extravaganza, a WR Tingle’s Rosy Rupeeland attempt, and much more. So what say you, Zelda Dungeon fans? 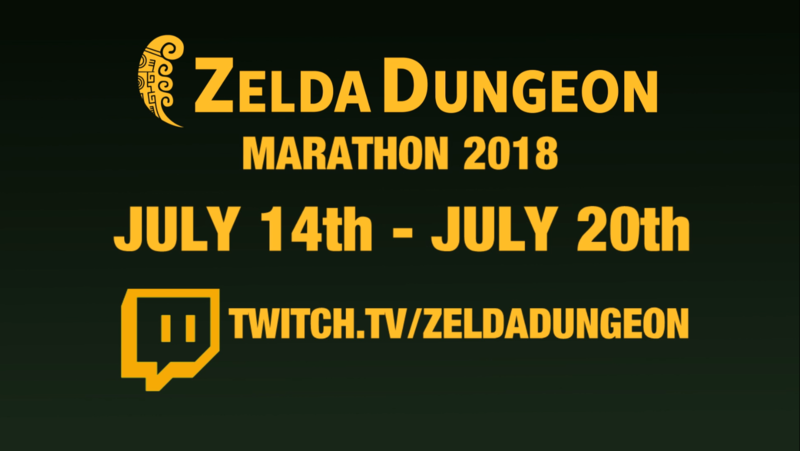 What part of the Zelda Dungeon Marathon are you most looking forward to this year? Sound off in the comments below!